This Patio Cover & Kitchen was built for the Achkar in Pearland, Tx. 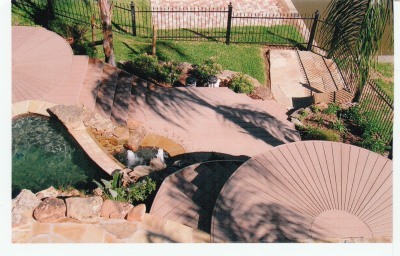 We built this for Cindi Ollis in Mont Belview, Texas. We built her a Fireplace, Kitchen, & Patio Cover. The Pool was there, & we built decks all the way around it. Then, we added plants and trees. Ms. Bloom wanted a unique deck that no one has. 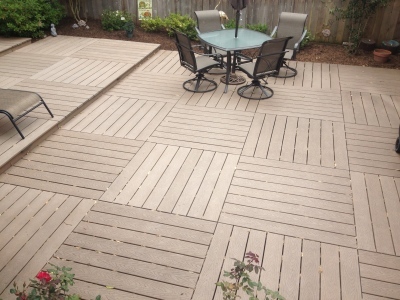 So, we added the deck to a small space with landscape on both sides. We built a deck with a pond that travels underneath it. Then, it travels to the other side. It dumps water into a 200 square foot pond. 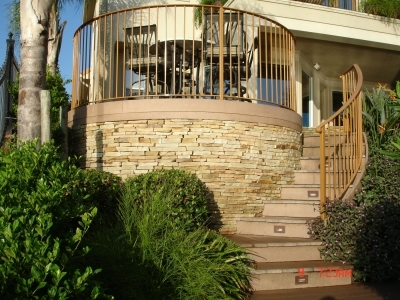 We installed a tropical landscape in the front of her house to remind her of home in Florida. Adding a unique Bathroom with a walkway that goes around it. Check out their Landscape?